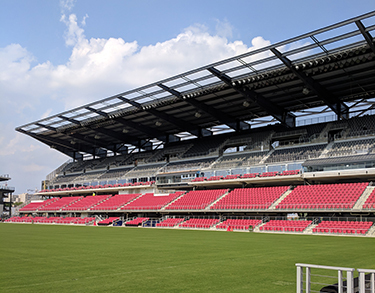 DC United’s new stadium, Audi field, seats up to 20,000 and includes 500,000 square feet of mixed-use retail and residential space on site. 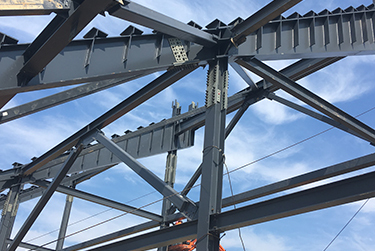 Its unique plate girder design was developed to accommodate stringent vibration criteria and site constraints such as the Pepco easement over which the main building spans. The project features a very aggressive design-assist / design build schedule. 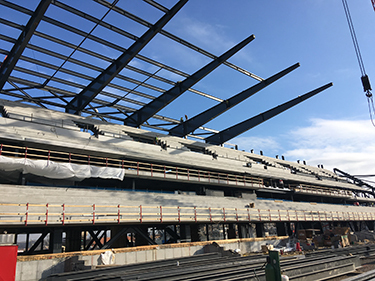 A+F Engineers is the Structural Engineer of Record of the new John R. Thompson Intercollegiate Athletics Center for Georgetown University. 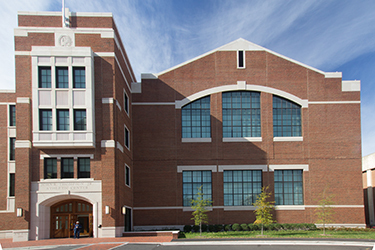 The 136,000 square foot, three-story building houses state-of-the-art training facilities for the university’s signature athletic programs as well as academic support centers for the university’s student athletes. 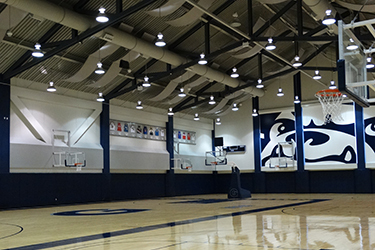 The athletic training facility features vertically stacked basketball courts, which posed significant design challenges to meet the stringent vibration standards over large spans. 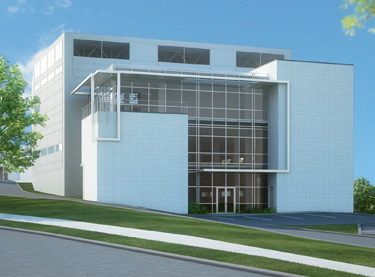 The center also includes attached offices, meeting spaces, seminar rooms, and lounge areas. 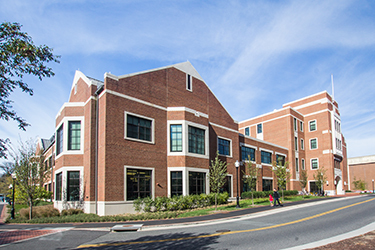 The construction was completed in October of 2016 and the building is LEED Gold certified. 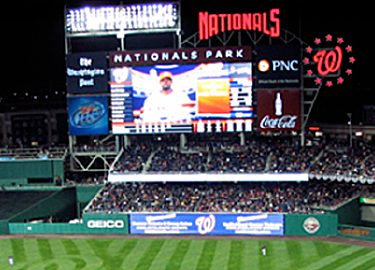 41,000-seat Major League Baseball Stadium. Design-Built under fast track schedule. Opened on March 30, 2008.